ANU College of Law is Australia’s national law school. 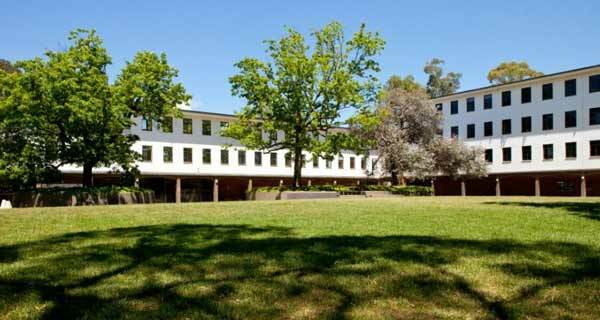 Since its establishment as part of the Canberra University College in 1958, the College has been home to some of the world’s foremost legal academics and it counts a range of high profile Australians among its alumni of over 19,000. ANU Law continues to perform strongly in global university rankings. In 2018/19, ANU College of Law is ranked 12th in the world and 2nd in Australia for law by the QS World University Rankings. We offer Bachelor of Laws (LL.B Honours) is an acknowledged world-class undergraduate degree. With Honours ‘built in’ from the start of the degree, the ANU LLBHons places an emphasis on developing versatile skills in independent research, analysis and critical thinking, providing you with a competitive edge on graduation, and a solid foundation for postgraduate study. Through the degree, you’ll gain in-depth knowledge about the role and function of law, and develop advanced understanding about how law influences and impacts almost every aspect of our world. As an LL.B Honours student, you’ll study a range of compulsory courses in foundational areas such as public law, criminal law, contracts, evidence and litigation, and have the opportunity to choose from a rich selection of electives across a wide variety of topics, such as international law, environmental law, and human rights. Alongside the fundamental concepts of law and legal systems, the ANU LL.B Honours will encourage you to consider how the law does and doesn’t work, and what can be done to improve and enhance it. We offer Master of Laws (LLM) is a valued, versatile and globally recognised postgraduate legal qualification. As an LLM student, you’ll have the option of building your own LLM by choosing from over 80 different courses. Selecting from one of five specialist streams including environmental law; government and regulation; law, governance and development; international law; and international security law. Whatever option you choose, you’ll benefit from an emphasis on flexibility and accessibility, with intensive classes and online learning. Our J.D. Program is a highly regarded legal qualification from one of the world’s top law schools. Completing a JD, and the requisite Practical Legal Training qualifies you to practise law anywhere in Australia and in some other jurisdictions. The ANU JD combines core foundational legal studies with a distinctive capstone experience incorporating practical clinical studies, internships or a research project, where you witness the law in action. The clinical study involves working with clients on real problems with real deadlines, giving graduates a competitive edge. Our J.D. Program emphasises the issues of law reform and social justice in the program of study, where you discover legal theory, how the law is applied, and how it affects people’s lives. Throughout your studies you will experience world-class teaching from academics who mentor and guide you successfully through the program. You will also get access to the frequent high profile visitors to ANU Law, including judges, barristers and visiting academics from around the world. **We also offer the opportunity to complete your JD at Oxford, while also graduating with a Bachelor of Civil Law from the University of Oxford. The Law Library provides a wide range of legal resources for staff and students of the Australian National University. The law collection includes statutes and case law from every Australian jurisdiction and selected overseas jurisdictions such as the United Kingdom, New Zealand, Canada and the United States. It also has a wide range of textbooks and journals and a law reform commission collection. The major collection strengths of the Law Library are public and international law. The Law Library staff provides assistance with using specific legal databases. Classes on finding legal materials and using databases are delivered to all first and second year law students as part of their courses. Information commons computers and printers are available in the Law Library. There are over 40 computers available for student use.